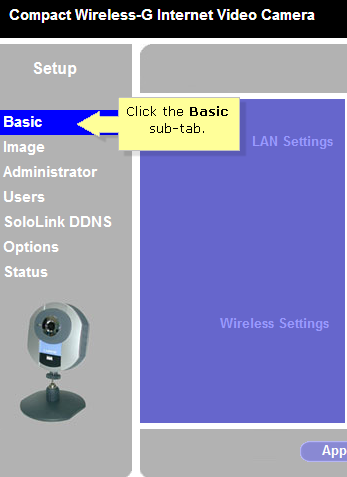 Assigning a Static IP Address for a camera allow user to access a camera remotely by IP Address without using a DDNS account. The following steps will guide the user on how to assign Static IP Address for their camera. Access the camera’s web-based setup page. For instructions, click here. On the Home page, click the Setup tab. Click the drop-down arrow for Configuration Type then, select Fixed IP Address. Enter the IP Address, Subnet Mask, Gateway, Primary DNS and Secondary DNS. obtained from your network administrator. Click Apply for the changes to take effect.